I am using the word ordinary as a term to mean usual, not plain. I don't want any of you thinking I only think of myself as ordinary...okay, so once in a while I do struggle with the old self image, but that is not what I am intending to address with this new monthly column on the blog. Ordinary Amy is going to be a monthly column emphasizing outfits that are my go to's. These will be pieces that I frequently reach for, because I find them, comfortable, easy to wear and pair other pieces with, yet still stylish. A v-neck sweater, red in honor of Valentine's Day, a pair of skinny jeans and a pair of combat boots. Casual, comfy, warm and a masculine edge. I can still remember when I got my first period. I explained to my mother what was happening and when she told me what it was, I ran from the house angry and crying. I didn't want to be a girl. Gradually, hormones did their job. I started to change in shape and I also began to notice boys! I became extremely private and modest, even around my brothers, and I became interested in clothing, hair styles and eventually make up. However, I still prefer pants over dresses and I like looks that have an edgy, military or masculine vibe. This type of look is something I turn to again and again. I love boots. I also like skinny jeans. I used to never wear them, so when I finally tried them, I fell in love. The thing I like about skinnies is that I can wear them all year round. In fall and winter I tuck them into boots and in spring and summer, I roll them up and pair them with ankle boots, sneakers, flats or flip flops. A chunky, cable knit sweater is stylish, but forgiving enough that I don't have to worry about my bulges. This particular sweater is Chaps brand from the Kohl's clearance rack. I am wearing a short sleeve lace tee underneath which provided an extra layer of warmth and a touch of ivory around the neck line. When I started putting this outfit together, I chose the sweater and jeans first, but then I thought of adding this fun bomber jacket which I introduced on the blog earlier in my travel post from last March. This little number is actually quite warm. It was a JC Penney clearance rack find and is Arizona brand. I think I paid about $5.00 for it. With the bomber jacket I knew I had to wear my thrifted combat boots, giving the whole look a WWII feel. With that in mind, it made me think of my dad. My dad, who grew up in a pacifist Mennonite family, was a hard working farm boy with a fascination with airplanes. When he was old enough he left home and went to work for the Curtiss-Wright airplane factory in Buffalo, NY. making wings for the P-47 for WWII. My dad, however was not content to make wings, he wanted to enlist. When he went to sign up, they asked if he was employed. When he told them where he worked they rejected him, saying his work was more important to the war effort than being in the service. Being the man he was, he waited a little longer, quit his job and went back to enlist. They let him right in. His enlistment came late in the war and he ended up serving in Air Sea Rescue on a B-17. I found this little pendant necklace somewhere along the way, possibly at Charming Charlie. What originally drew me to it was the bling, but it suddenly occurred to me that it would be a good piece to remind me of my dad. My dad passed away eleven years ago, but obviously I still think of him often. There you have it...ordinary me, on an ordinary day. I hope you enjoyed this post and I hope you have an extraordinary weekend! Friday linking up with Shelbee of Shelbee on the Edge, Jo-Lynne of Jo-Lynne Shane and Jennie of A Pocketful of Polka Dots. When it comes to layering there are so many possibilities. I have learned so much from other bloggers about adding layers and how to make my outfits more fun and interesting. I noticed a few bloggers a number of months ago layering with longer layers and I thought I'd give it a go. Today's outfit involves layering a long vest over a long cardigan. The color of these two pieces are a perfect match, so it is barely noticeable that they actually are two separate pieces. The duster cardigan is Chaps brand from Kohl's and the vest, also Kohl's. is Wall Flower brand from the Junior's department. Both pieces were clearance. I don't usually shop in the Junior's department for obvious reasons, most of their stuff doesn't fit me, but once in a while it pays to look. The knee length cardigan is light weight and will be a good transitional piece going into spring. It has pockets on each side in the front. For a fun casual look I paired the sweater and vest combo with a graphic tee. This particular one is Wonder Woman. I like the words. These are words I want to epitomize. Because it is cold, I thought my OTK boots would be appropriate. I also chose my burgundy cross body bag and bracelets to got with the red "W" below the words on the tee. I think this vest and sweater combo would look cute over a dress or a top and skirt. This would work well even if the sweater and vest were different colors. It adds a layer of interest and warmth to an outfit, which is a plus in this chilly weather. What about you? Have you ever tried to wear a vest over a cardigan? What do you think of this loo?. I'd love to hear your thoughts. Leave me a few words in the comments section. Here are a few shopping links. If you click on a link I get a few cents. If you make a purchase through one of the links, I might get a small commission. I don't get paid to blog, so any help you can give in that regard is much appreciated. All opinions are my own. Friday linking up with Nancy of Nancy's Fashion Style and Jennie of A Pocketful of Polka Dots. For this week's post I took a leopard print skirt and designed a casual and comfortable outfit that still looks chic and festive. Like I did last week, I'll organize this in a way that will help you build a holiday outfit from pieces that you already own. 1. Pick a casual skirt that you like to wear. I doesn't have to have a print, but prints are fun. In keeping with the time of year, maybe choose a piece that has darker colors or more fall-like tones. Length is up to you. Mini's, maxi's or something in between all work as the foundation for a festive holiday outfit. The thing that makes this Jones, NY leopard print, pencil skirt more casual is its texture. It is made of narrow wale corduroy. Corduroy is very close to a ridged velvet. The fabric has the same soft feel, so it is comfortable and movable. Another thing that makes this skirt more casual is the belt loops and front zipper. I have another leopard print skirt that I styled on the blog here, but I feel it is more dressy. It is a smooth chino type fabric with a structured waist that buttons on the side. i'll admit they look pretty similar and I will probably get rid of one of them at some point, but for now, I am guilty of owning two leopard print skirts. Ha, ha. Another great casual skirt that you could easily dress up for the holidays is a denim one. Denim is the perfect back drop for all sorts of pretty combinations that stay casual, but still say holidays. 2. Pick a festive companion piece. For my outfit I chose two companion pieces, an open weave pullover sweater with gold threads, and a denim vest with silver bling on the yoke. This sweater is Covington and the vest is Christopher & Banks. The bling gives the outfit a holiday feel without being a top that has the actual holiday on it. If you don't have a top with bling choose a vest or sweater in the season's color. A rich burgundy or maroon will work great for Thanksgiving or Christmas. Even a deep purple or rusty orange will give an outfit a holiday vibe. I chose a brassy necklace that had a few beads that matched the Butterum color in the skirt. The brassy chain also goes with the brass buckle on my belt. Sometimes mixing metals can clash, but I think in this outfit it works because no one metal takes center stage. They all compliment and work together with other colors in the outfit. If your outfit pieces have no bling, then you can layer on the jewelry. Try multiple layers of gold or silver necklaces, or mix them up. Gold and silver can look gorgeous on a backdrop of burgundy, dark purple or deep navy. Think about what you own and try different pieces until you find something that makes you say, "I really like how that looks." Chances are, other people will think so too. 4. Add a bag. To pull together the browns in the skirt and the necklace I reached for my Butterum hobo bag. It is roomy enough to fill with additional items for a trip to see the family for dinner or even to tuck a light weight shawl for someone else's cooler home. 5. Don't forget your shoes. Once again I reached for my Impo gray suede ankle boots. You can see I also went for a dark brown pair of tights, for full coverage of my legs. I chose these as they are dressy, but not too dressy. They are warm and I thought the gray color went well with the gray sweater. You could also wear knee hight boots, over the knee boots or even a pair of Keds or Converse sneakers for an even more casual look. The classier your shoes are the more dressed up the outfit will look. Heels, to me always make a dressy statement. You'll see more of that in the next four posts as we get into dressier looks. I hope you enjoyed seeing this outfit in my holiday series and I hope it provided some inspiration for you to create a holiday look from your own closet. Here are a few cute skirts and boots to shop for. This post contains affiliate links. All opinion are my own. Welcome to my series on holiday style. I hope that these next few weeks will take you from Thanksgiving through the New Year in creative and inspirational ways. I grew up in a family that rarely dressed up, except for church on Sundays. Holidays were typically ultra casual, in fact sometimes on Christmas we stayed in our pjs or most comfortable sweats all day long. When I got married and we had children our holidays were always spent traveling so that we could spend time with our extended families. Living out of a suitcase for a week was always a challenge, not because I couldn't fit everything in, but because I had to plan ahead! What was I going to wear on each and every day of our time away? And how was I going to look presentable, but still be warm and comfortable? Now that I am a fashion blogger, I want to dress in a more festive way, but still stay true to my comfortable, relaxed roots. For this series I decided to take a look at three different approaches to holiday dressing, (No! I do not mean stuffing.) The first two weeks will look at a casual approach, the second two weeks a dressy casual approach and the last two weeks will be devoted to a dressy approach. I will follow that with a post on a New Years eve look. So let's begin. Certainly all of you own a pair of jeans. Some of you may even own a pair of cropped jeans, and/or a pair of distressed jeans. Jeans are a part of my style routine. I wear them all the time, for work, play, dressing up or down and everything in between. Maybe you are not a jeans kind of girl. but whether you are or aren't you can create a casual style using the following simple guidelines. 1. Pick a pair of jeans or casual pants that you enjoy wearing. For this outfit I chose my Vera Wang cropped distressed jeans. Here is a cute pair from Lord & Taylor. You could just as easily choose a pair of mom jeans or a pair of skinnies and just roll up the bottoms for a similar, fun look. 2. Pick a fun sweater. It doesn't have to be a holiday sweater. I think it is fun to wear something with a holiday motif after Thanksgiving, but until then, any warm cozy sweater will do and over sized is even better. Here is one from Old Navy, Nautica and Target. I found this fair isle sweater on the clearance rack at Kohls. It is amazing the treasures you can find on the clearance rack for just about any season. This is Chaps brand, which is on the higher end of what I like to spend, so finding it on clearance with a good coupon was a win. I tucked it away knowing I would be able to use it this winter. If you are not familiar with fair isle, it is a knitting technique that uses multiple colors to create patterns. This sweater also has some silver threads knitted in, so it gives the fair isle pattern some subtle bling. My fave and perfect for a holiday gathering. As you can see I had a tank top underneath, but it works because the pinky red of the tank matches the pinky red in the sweater. I am always cold in the winter, unless I am moving around, so I like to have an extra layer or two, but more on that Thursday in my Layering Love series. Ha! 3. Add a few statement jewelry pieces. Jewelry can be such a wonderful outfit booster. A fun piece of jewelry can take an outfit from dowdy to divine. This pendant was another Kohl's clearance find. The bracelet I found on my first visit to Chico's. The two matched perfectly to one another and to the light blue in this sweater. Plus the silver trim goes well with the silver threads in the sweater. This brings me to another style question that seems to often come up...to match or not to match? This really is a matter of personal taste. I personally love to have at least a little bit of matching going on in an outfit. I feel that it makes the outfit look polished and gives it a classic, pulled together feel, BUT that is just my personal taste. There are many fashion bloggers who take pride in not being matchy and do a fabulous job at it! Do what is best for you. After all that is what this blogging thing is all about, helping you find your own style! 4. Grab a great bag. Since red is big this fall, I couldn't resist pulling out this Arizona Jeans brand Buffalo plaid tote. A Penney's clearance purchase last year, I got this as a possible Christmas gift, but decided to keep it for myself. Ha, ha. Here is an adorable one from dressbarn. 5. Don't forget the shoes. Just because you are going casual doesn't mean you have to wear sneakers, although a cute pair of hi-top Converse would be perfect with this outfit. I chose my wedge heel ankle boots from Impo. Here is a very similar pair from Macy's. I love these gray suede boots. They are super comfy, but also stylish. I wear these over and over during the cold weather. This is a look that I will most likely be wearing over the next few weeks as the holidays begin. It would be a great casual look for a holiday gathering, movie night or a day out Christmas shopping. I hope the tips I gave you will help you come up with your own casual holiday outfit. I would love to hear about what outfits you came up with. Leave me a note about them in the comments section, or leave me a picture on my Facebook page. I'd love to see your looks. Below are a few shopping options. This post contains affiliate links. If you click on a link, I get a few cents. If you buy an item through a link I get a small commission. All opinions are my own. Beautiful Blogger Bests - Cute Top, White Jeans, Skinny Scarf, Heels! 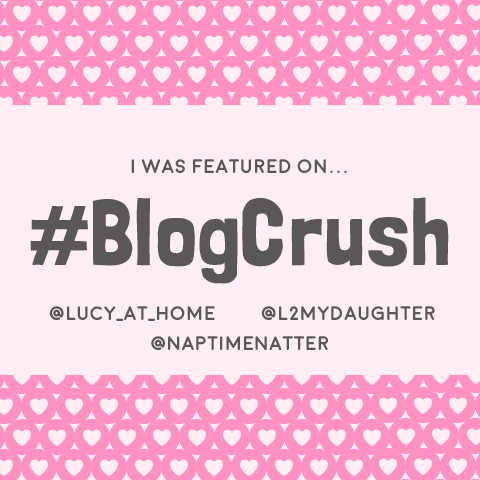 This month I am featuring a lovely lady who has been blogging for over ten years. Starting with a blog that was geared toward The Musings of a Housewife (her original blog name), Jo-Lynne Shane has narrowed her focus to style and fashion. Her blog, Jo-Lynne Shane: My Life and Style, is widely visited and subscribed to by thousands of women looking to learn about fashion. Jo-Lynne is sweet, intelligent and giving. A woman of faith she shares her life with her husband (also her photographer), three children and a dog. Jo-Lynne terms her style as "casual chic". I love her casual, comfortable, yet totally put together looks. The post I chose to reinvent was from March 15, 2017 and is titled, Bell Sleeve Top and White Jeans with Floral Skinny Scarf. You can either click on the title of the Jo-Lynne's blog post above, or click on her picture and it will take you to the original post, where you can read it in full and leave her some love! What I love about this look is the comfort aspect. The top is not tight and binding, yet Jo-Lynne did a fabulous job of looking so chic and put together. The pop of pink of her heels and the cute neck scarf are the perfect accessories. The outfit is balanced, not being over or under done. For my outfit, I didn't have a bell sleeved tee so I opted for a Sonoma brand peplum tee instead. I found this tee on the clearance rack at Kohl's. Here, here and here (plus size) are some very cute versions. My white crop pants are an older version from Christopher and Banks. Here is a similar pair, but in an off white. They are having a pretty good sale right now too, so take a look. I have a bit more going on in my outfit with the stripes on the tee, but I tried to tone down my accessories, so it didn't seem too busy or out of balance. Instead of tying the scarf short around my neck, I let the oblong pieces hang which allows for some print mixing. While the colors do not match, the yellows and browns in the scarf go well with the oxford gray of the top. Jo-Lynne's blush bag looks so good with her bright pink shoes and the pinks in the scarf. I decided to carry this goldenrod yellow Elle bag which draws out the yellows in the scarf. As far as I can tell, Elle does not make handbags anymore, or at least not for regular retail. You can find a number of Elle bags on Poshmark, an online thrift store. Like Jo-Lynne, I kept my jewelry minimal, since the scarf adds visual interest around the neck. I wore a simple beaded cuff bracelet that picks up the browns in the scarf. This outfit would have been fun with bright yellow heels, but I don't have a pair in my closet. Ha, ha. These gray ones work just as well. DSW has a great selection of pumps. Here is a cute pair of Clarks, My shoes are a Payless brand called Comfort Plus. You can check those out by clicking on the link. Be sure to hop on over to Jo-Lynne's great blog. She has her own board on my Pinterest account, because I love so many of her outfits. There are two reasons I started this Beautiful Blogger column on my blog. 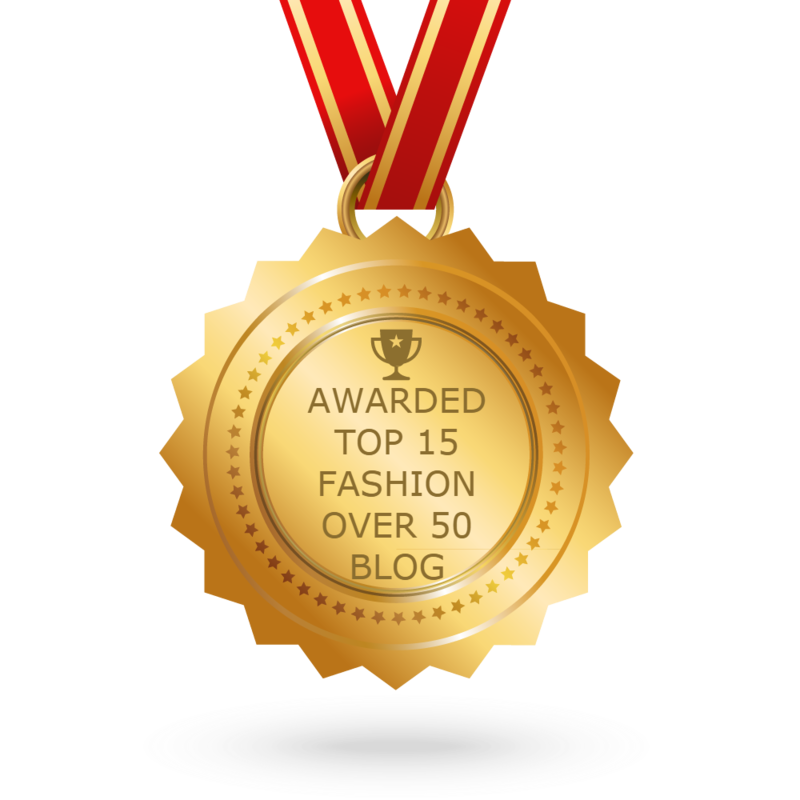 The first is to exposed my readers to some other really awesome fashion bloggers. The second is for purely selfish reasons, their sense of style gives me more inspiration to look great and feel confident. Thanks so much for stopping by the blog today. Have a great weekend. As you all know, Valentine's Day is over, but in keeping with the idea that romance is a year round affair, here is another outfit for a date night with your significant other. The last two weeks I showed you two outfits that were a bit more dressy. This week and next week the outfits will be more casual. You can see Week 1 and Week 2 by clicking on the links. This J.Jill knee length velvet jacket was a thrift store find. It is a beautifully tailored piece with a full floral lining, which I forgot to take pictures of! The jacket has roomy pockets on both sides and buttons for closure. As soon as I put this on at the thrift shop, I knew I wanted it and for only six dollars who's complaining. I decided to pair this jacket with a floral long sleeve blouse with hints of pink and berry. I tucked the blouse into a pair of bootcut jeans and wore a navy belt. For my jewelry I decided on pink an gold to highlight the pink in the blouse. Accessories included a Vera Wang bag that I thrifted and my berry heeled booties. This would be a great outfit for a date to a quaint little outdoor shopping area. We have a small town about a forty minute drive from where we live that was built along a picturesque river. It is a nice place to go for lunch and a walk through antique and craft shops, as well as down by the water. While this outfit isn't as flirty and feminine as the first two, this is one that makes me feel warm, comfy and confident while still looking stylish. What would you wear on a more casual outdoor date? Let me know your thoughts and ideas in the comments section below. I love to hear from you. Also, do me a favor, if you like my blog, but have never subscribed please do so now. I promise not to clutter up your in box and usually only send you an email once a week with links connected to each of my posts. The content will still be relevant to the week, but you won't have a whole bunch of separate email in your inbox. Thanks for all your support. Check back on Thursday for this week's Color Crash Course. This post contains affiliate links which means if you click on a shopping option below I receive a few cents. If you actually purchase something through my site I get a little bit more. However, all opinions are my own. Monday linking up with Catherine of Not Dressed As Lamb. Tuesday linking up with Jess of Elegantly Dressed and Stylish, and Shelbee in the Spread the Kindness Link Up. Wednesday linking up with Sara and Hannah in the Wearable Wednesday link up. Thursday linking up with Nicole of High Latitude Style, Shelbee of Shelbee on the Edge and Ada Elegance and Mommyhood. Friday linking up with Nancy of Nancy's Fashion Style and JoLynn Shane in the Fashion Friday link up. This is the final installment in my Chasing Away the Winter Blues Series. With the month of February starting tomorrow, it will be time to think about love and romance. Today, however, I wanted to share what I call the comfort outfit. Let's face it, we all have a day or days where we just can't work up the gumption to get dressed up. Maybe you are home sick from work or maybe the winter blues have just beaten you down enough that you need a day of rest and complete comfort. I found this comfy sweatsuit when I was shopping a friend's closet. I would have never picked it up except that it has bling on it! I'll get to that in a minute. I normally do not wear sweatsuits. I like to dress up, even if it is just jeans and a sweater or nicer sweat shirt, but this little number is perfect when I want to just stay home and be extra warm and comfortable. In keeping with my love of this berry color I decided to wear a striped 3/4 length tee and added my berry colored Puma sneakers. The sneakers are thrifted and the tee was from Christopher and Banks. Here you can see my sneakers, but you can also see the line of faux rhinestones along the outside leg of the pants. The tee also has a line of bling along the neck and I opted for my lovely cross necklace hubby gave me for Christmas and the ring he gave me as well. The next few shots are just me being silly. And of course I had to channel Rocky Balboa! So maybe I am trying to beat away the winter blues. Ha, ha. I hope you enjoyed this series on chasing away the winter blues. Join me on Thursday for the Piece Perfect column for February. Be sure to come back next Tuesday for a new series titled Romance is in the Air. Saturday linking up with Rena of It's All Fine. Whatever Tickles the Fancy. Monday linking up with Catherine of Not Dressed as Lamb. Tuesday linking up with Jess of Elegantly Dressed and Stylish and Shelbee in the Spread the Kindness link up. Thursday linking up with Nicole of High Latitude Style.